No moving parts and no power required for operation. Minimal pressure loss. 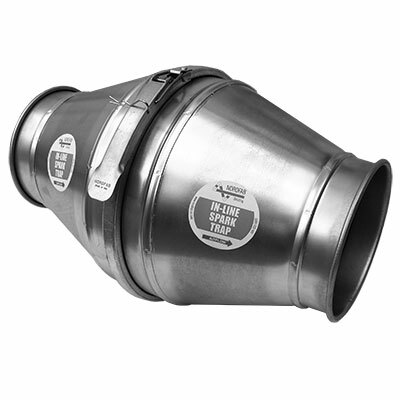 Can quickly and easily be mounted into Quick-Fit ducting systems, or other duct systems with use of a Nordfab adapter, and the trap can easily be removed for cleanout. Available with flanged ends. Calibration or other assistance from a factory technician is not required. This is a simple, low-cost tool that can reduce incidents of fire events, reducing costs and disruption and improving safety. System redundancy and complementary measures should be applied. A typical lead-time for this product is 2-5 Days.